At a cursory glance, all ships may appear to be the same, but while some of the exterior may look similar, inside and on decks there are many different designs. A maze of pipework dominates the decks of Tankers, while distinctive domes mark out Gas Carriers and stacks of rectangular boxes signify a Containership. Meanwhile, Bulk Carriers have hatch openings on deck to better access the cargo, while Passenger Ships need indoor facilities for people to travel in comfort. 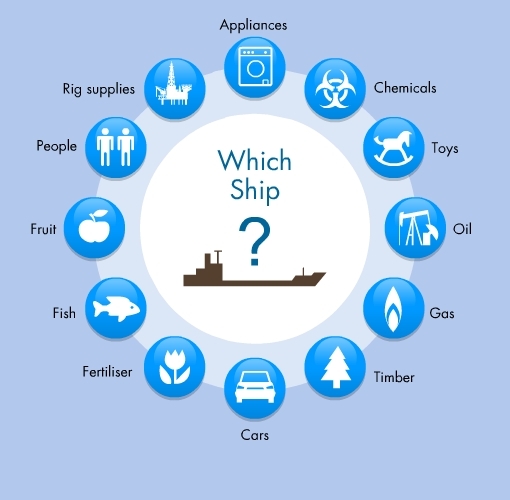 The design of these ships has evolved over the centuries to best suit the goods and products that they carry and the areas that they will be travel to, from and through. This section will describe the features of different types of ships, so that you will also be able to appreciate the huge variation in ship design and, importantly, the reasons for that variety.